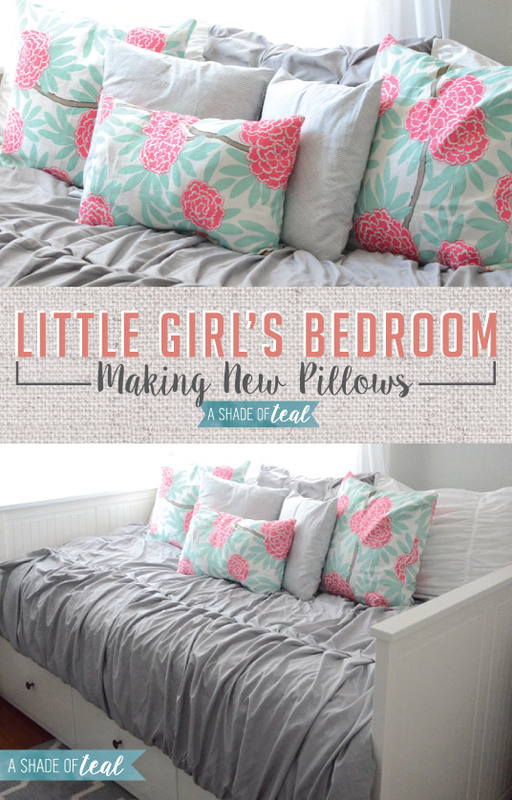 I’m so happy I tackled this project of making my daughters pillows. 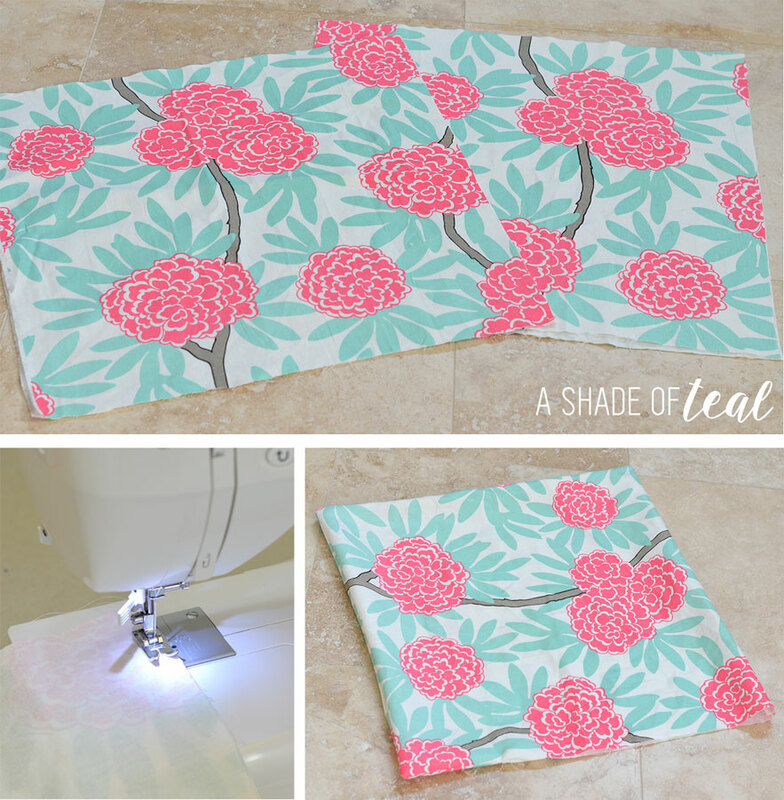 Its one of those projects that’s really easy yet also so easy to procrastinate on! I’ve actually purchased both fabrics before she was born (over 2 1/2 years ago) with the intention to make pillows for her nursery. 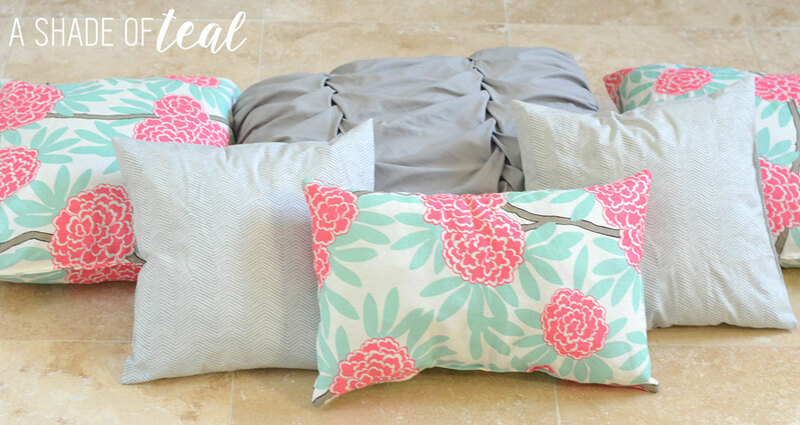 With that said here’s a quick and easy tutorial on how to re-purpose old pillows into new ones. 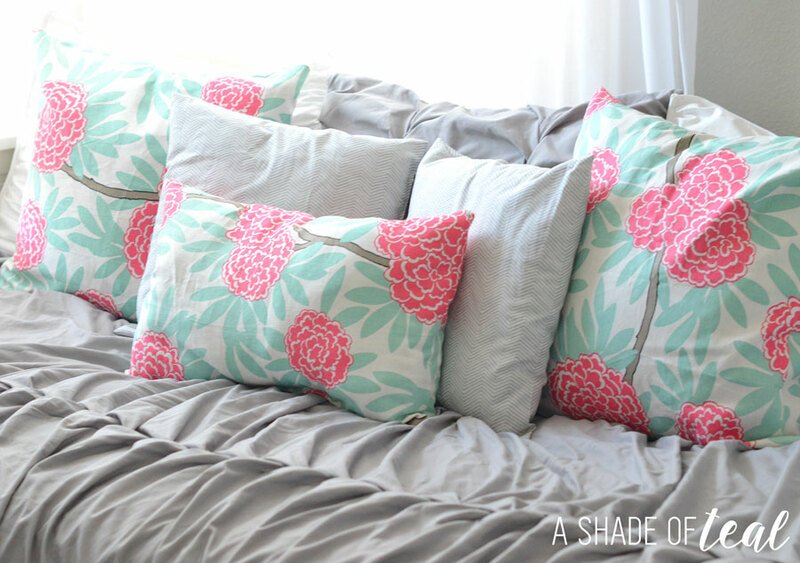 First, I gathered the pillows I wanted to display on her bed and laid them out. 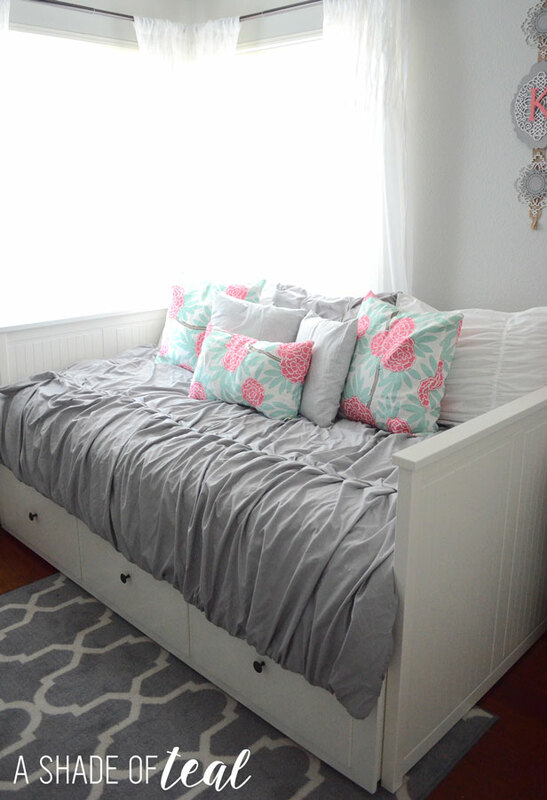 I also placed the fabric I purchased over 2 of the pillows to help visualize. The grey pillow is new and came with her comforter, so that will stay as is. I then laid out my fabric and made sure the pillows I would be covering would all fit. 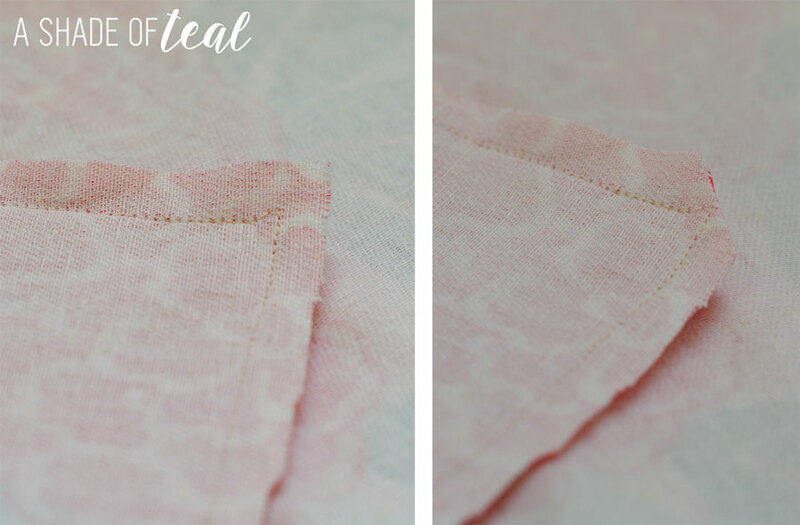 Then I cut the fabric to size and started sewing. 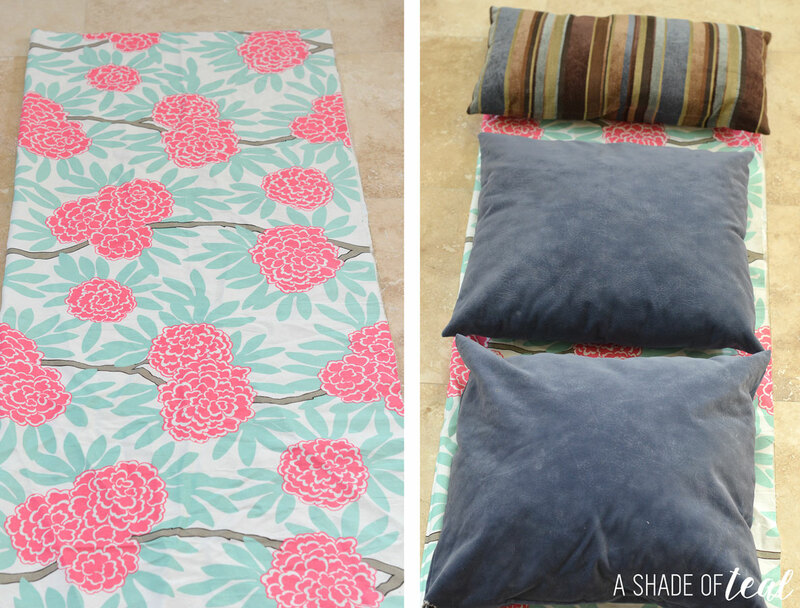 I made the large pillows 16″x16″ and the small rectangle pillow 19″x10″. 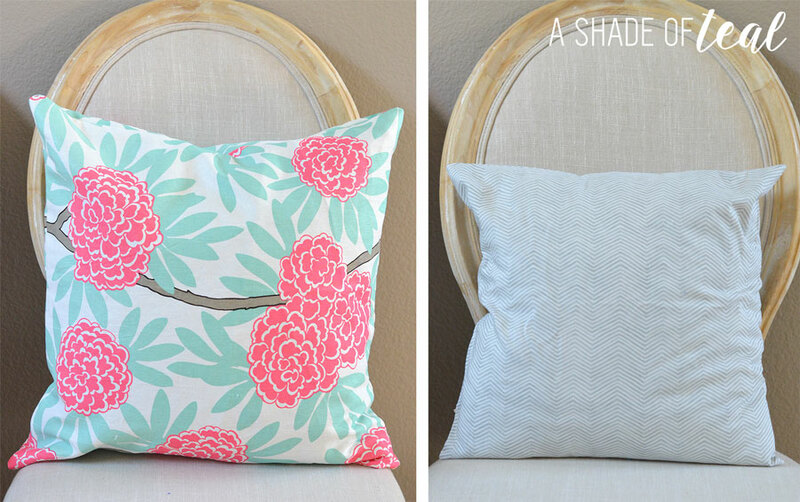 I only sewed 3 sides to each pillow so I would have room to fit the old pillow inside. 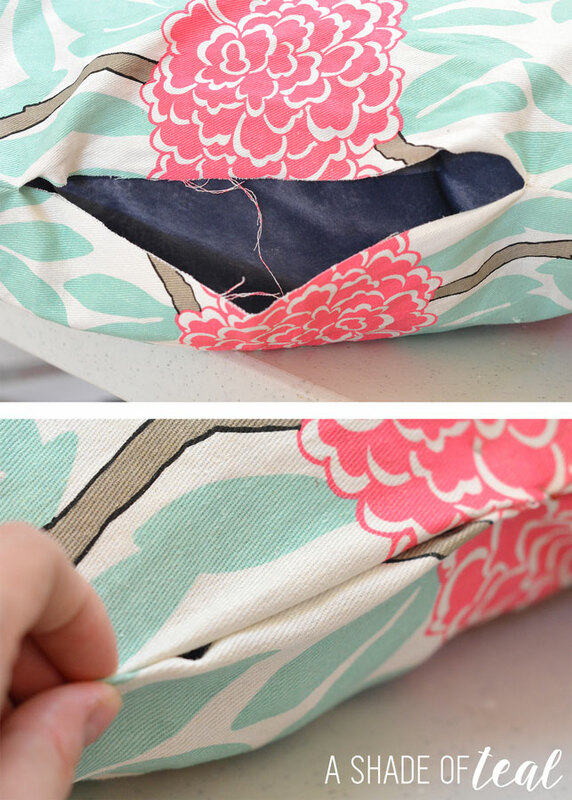 Make sure you trim the corners on the inside of the pillow to get a even point when you turn them out. Once the pillows were stuffed I sewed up the final side. 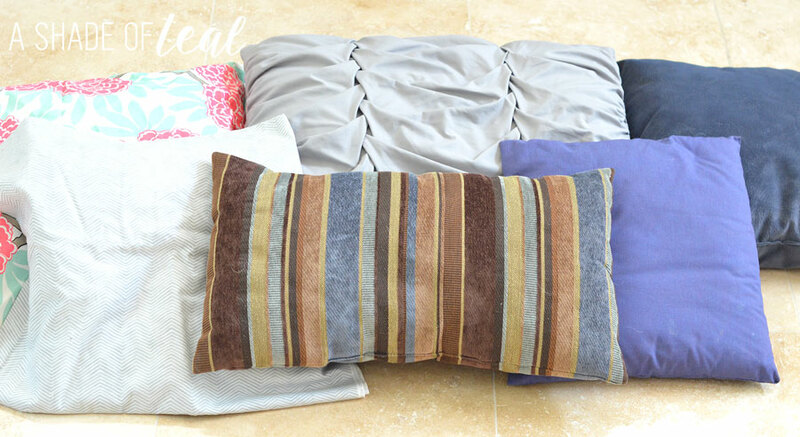 I repeated the steps for all the pillows, including my other fabric. This probably only took me a hour to complete. Crazy to think I waited 2 1/2 years to get to this project! I can’t wait to share the final room. I just need to finish up a few things then I’m done!! !